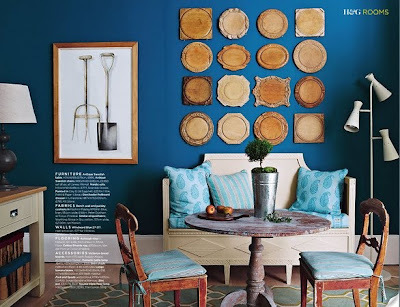 If you'd like to see the growing plate wall archives, please click here. The winner of the White Owl Giveaway is...lucky #63! That would by FLYNN! Yay Flynn, I'll be in touch soon! If you see this before I can get to you, please email me. Big thank you to White Owl for such a wonderful giveaway! Be sure to check out the shop for tons of holiday options. I love plates! I have them all over my house. I'm a bit of an "art phobe" and feel I can commit more to plates. Plus if I have a big dinner party, I can just take some off the wall ;) Happy Thanksgiving! Congratulations to the WINNER!! YAY!!! 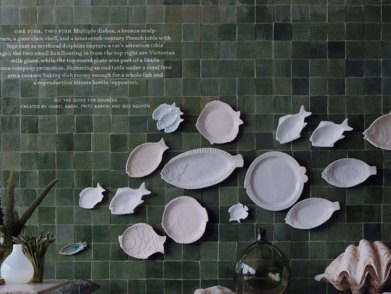 i've seen walls of plates before, but i LOVE the one of the fish! GENIUS! I think you should try and make a Christmas Tree shape of plates for a Holiday Plate wall....if it can be done, you are the perfect gal to do it! You've gotten me addicted to plates! It's official... I never get tire of plate walls! 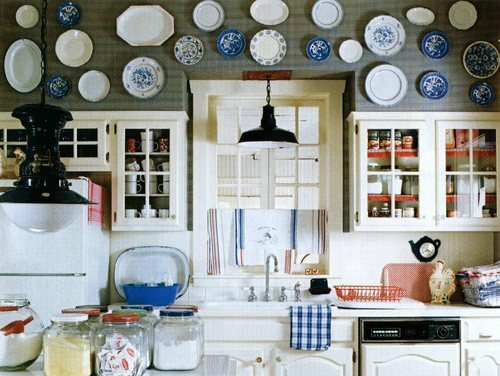 I always enjoy you plate wall pictures! The first photo is especially gorgeous! Happy Thanksgiving to you, too! Those plates are beautiful!!! I like the Picture number 3 is my fave! The fish wall is so clever! Happy Thanksgiving, Christina! I'm very grateful for you! omg. i love these. Ive been looking for some of these and you did the work for me. i love the idea of wall art installations! These are all seriously fabulous, bold and creative. Hope you had a fantastic Thanksgiving with your family and friends! Fantastic! 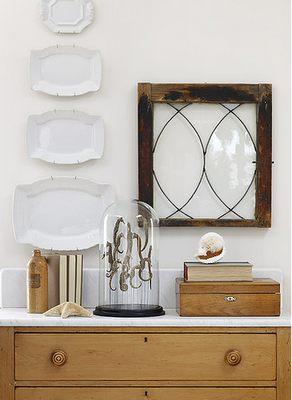 I love plate walls - I have a vintage Washington State (my home state) collection! Happy Thanksgiving for yesterday Christina! Hope you had a wonderful day! I love your plate walls - they are all so different!! Adorable plate inspirations! 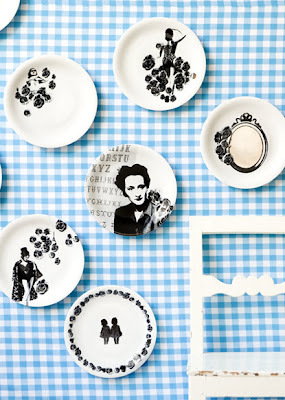 My favorite this time around is the fishy shaped plates... how adorable is that?! Hope you had a happy one!! Oh-la-laaaaaaaa!!! I really like the first ones!!! wow, so many fun ways to create a wall display. and yes, the fish wall is so cool. Omg, fish plates!! That's seriously amazing. i heart the fish places - such a great idea! I think your plate wall obsession is as bad as my built-in bookshelf obsession. However, I totally encourage you to carry on! I may not ever have a plate wall, but I sure do love admiring the ones you post! OMG, the fish! Love it. 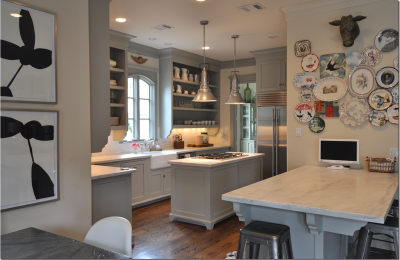 And that plate wall above the dining table is fantastic too! 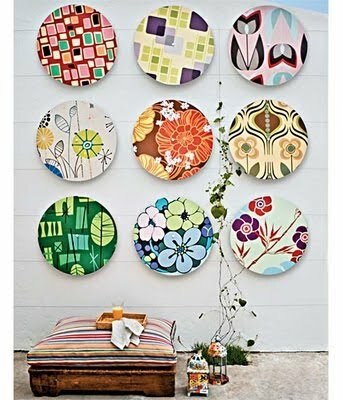 Unique idea arranging paintings and plates, I think I like it. that publictaria plate wall is amazing.